Embattled Toronto Mayor Rob Ford may get a chance to see the video that appears to show him smoking crack cocaine. Toronto Mayor Rob Ford admitted smoking crack about a year ago, while he was in office, and has repeatedly called for police to release the video so he can see it. A lawyer for a man photographed with Ford outside a house reportedly associated with the video says he's going to court on Friday seeking copies of two video files related to Ford. Toronto police said the videos were on hard drives that were seized in June during a gangs and guns investigation called Project Traveller that led to charges against Mohammad Khattak. Analysis: What's behind mayor's 'mind-boggling' PR strategy? Lawyer Daniel Brown argues the video files are "relevant disclosure" which may assist Khattak in defending himself on the charges he faces. And Brown said Tuesday that if Ford "truly wishes to see himself on that video," he can join the application. On Tuesday, Ford admitted smoking crack about a year ago, while he was in office, and has repeatedly called for police to release the video so he can see it. 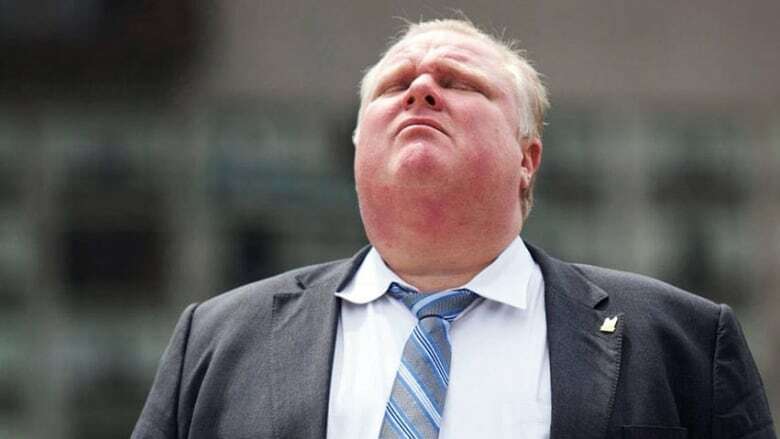 Meanwhile, Ford faces mounting pressure to strip him of some of his mayoral powers over his bombshell admission that he smoked crack while in office. Ford made an emotional apology Tuesday for the drug use after months of denials, but says he loves the city and won't step down. But Coun. Denzil Minnan-Wong — who is on Ford's powerful executive committee — says a motion to weaken Ford's position is in the works, adding the mayor needs to step aside. Coun. Karen Stintz, who has announced she will run against Ford in the next election, says Ford has betrayed the city. Other councillors say they'll be looking to continue governing despite Ford and his stunning announcement. Ford has been under intense scrutiny since May, when two media outlets reported the existence of a video that they said appeared to show the mayor smoking crack. The scandal around Ford took on a new urgency last week when Toronto's police chief made a jaw-dropping announcement that authorities recovered a video of the mayor with images that corresponded with those media reports. A spokeswoman for Toronto police wouldn't say how Ford's comments would impact an ongoing police investigation related to the mayor's friend and occasional driver, Alexander (Sandro) Lisi, saying only that "the information will be passed on to investigators."